Enter the Room & Board The Modern Life Concept House Raffle with a donation of $20 or more. One winner will be selected and they get to choose one item from the three beautiful pieces listed below! (When you purchase a ticket, please select the item you would pick). Join us at the Room & Board + OHNY preview party Thursday, May 19 from 4 to 8 p.m. RSVP here. You do not need to attend to enter the Raffle. Contemporary, with a hint of tradition, Soren’s striking design offers amazing comfort. 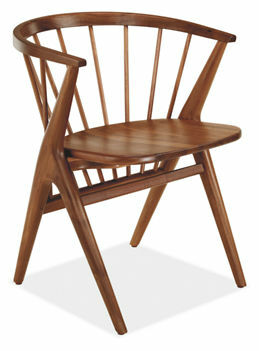 Handcrafted in Vermont from steam-bent solid wood, it’s a timeless dining chair you’ll love for decades. Hide your work away. When the pullout work surface is closed, Basis is the perfect console table. Or use Basis as a writing desk. 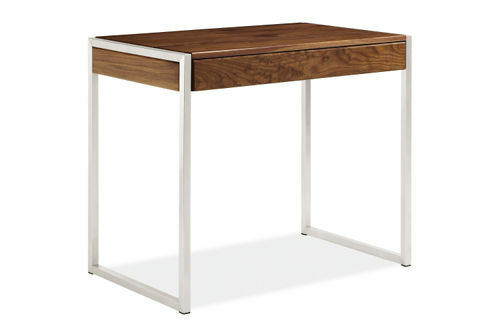 Either way the interplay of materials and clean design creates a desk you’ll love. The deep drawer stores paperwork as well as your laptop. A dramatic shape meets deep-seated comfort in Louis. 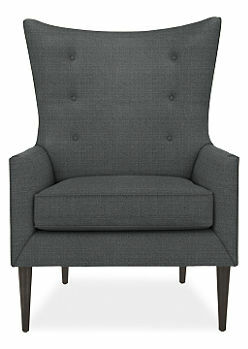 A modern interpretation of a European club chair, it grows more comfortable the longer you live with it. The Modern Life Concept House Raffle remains open until Thursday, May 19 at 8pm. The winner will be announced on Friday, May 20. Don’t forget to join us at the Modern Life Concept House on May 19! Your odds are reallllly good right now… 🙂 But help us spread the word!